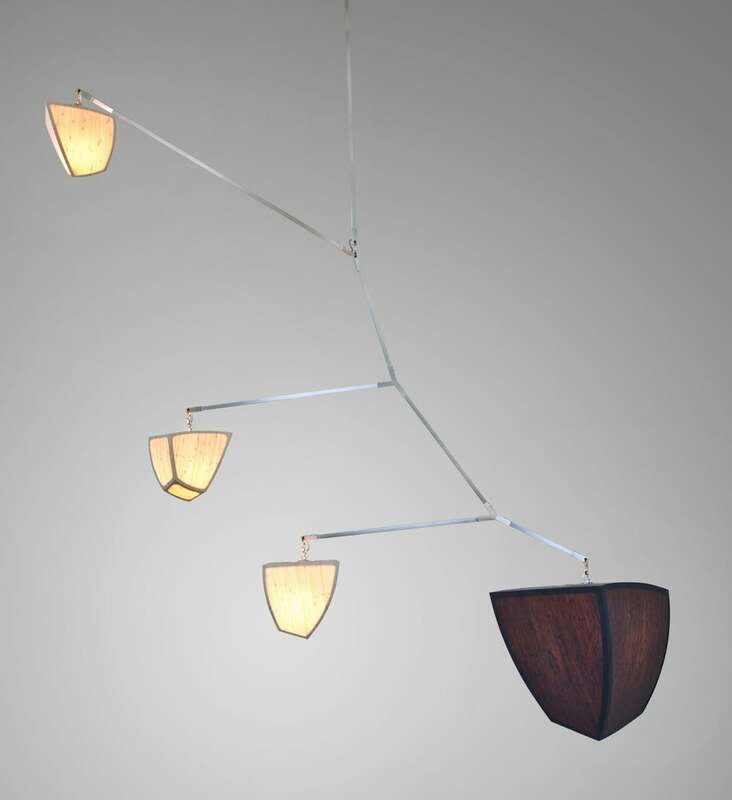 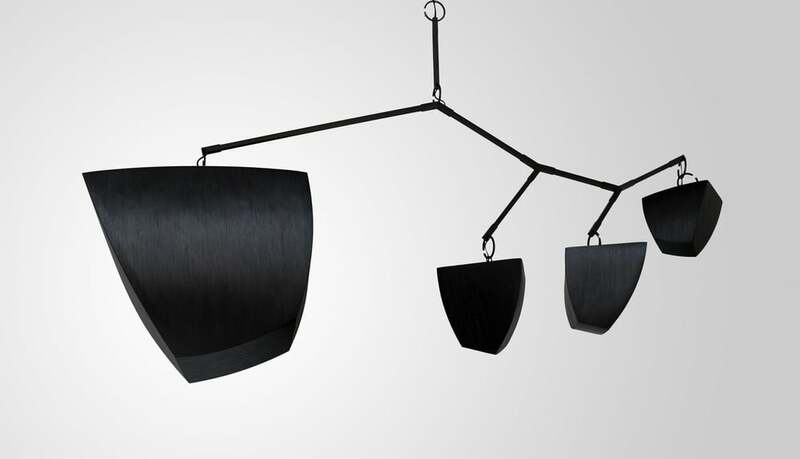 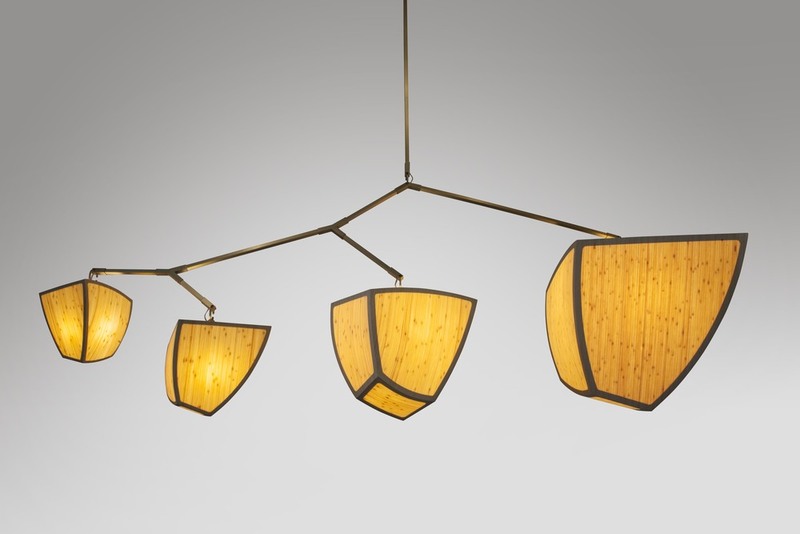 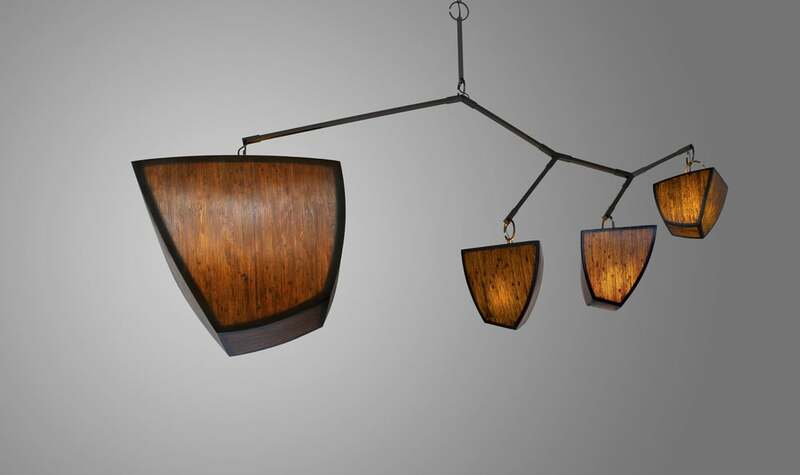 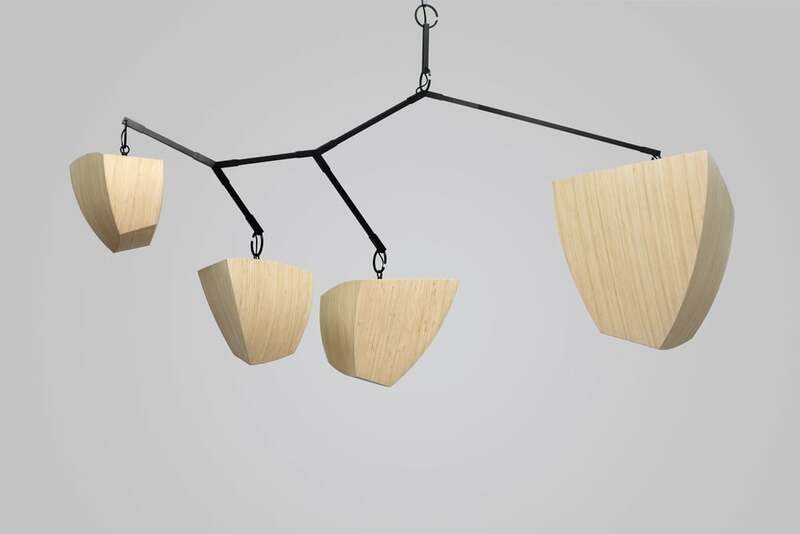 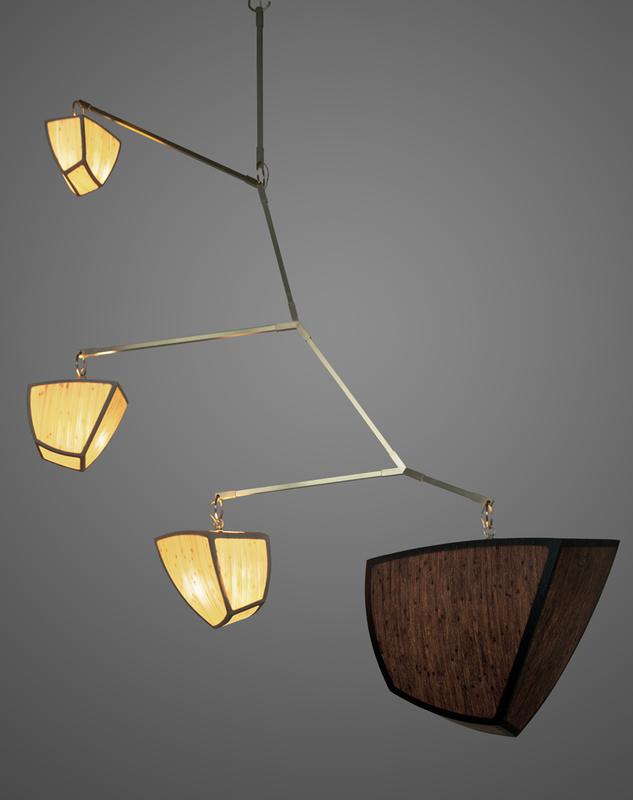 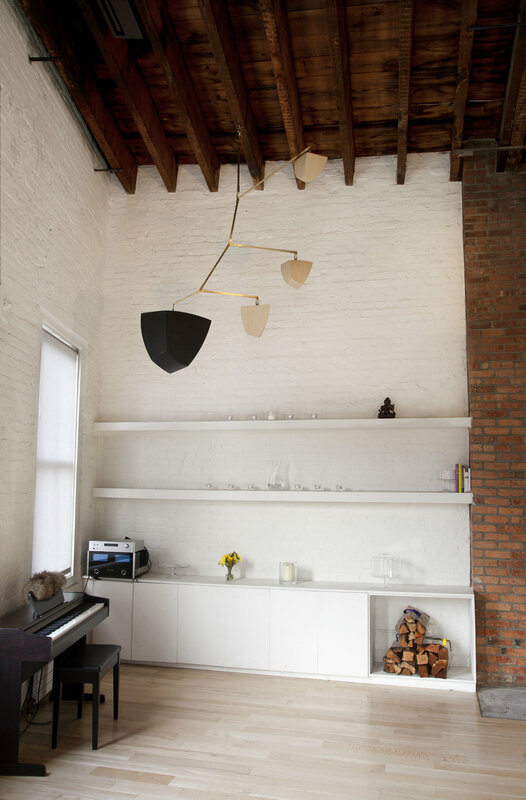 The Constantin Series is our original mobile-type chandelier configuration. 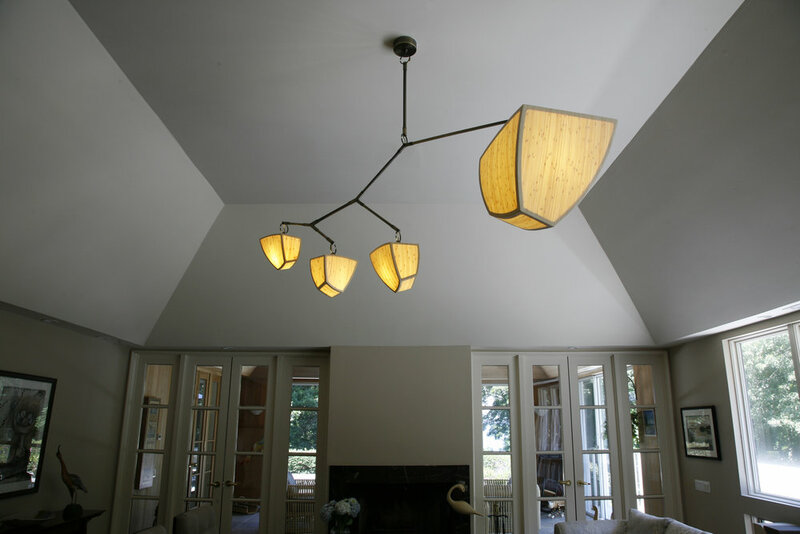 It has a 22" high polyhedron, and a series of 3 smaller polyhedrons in descending size order. 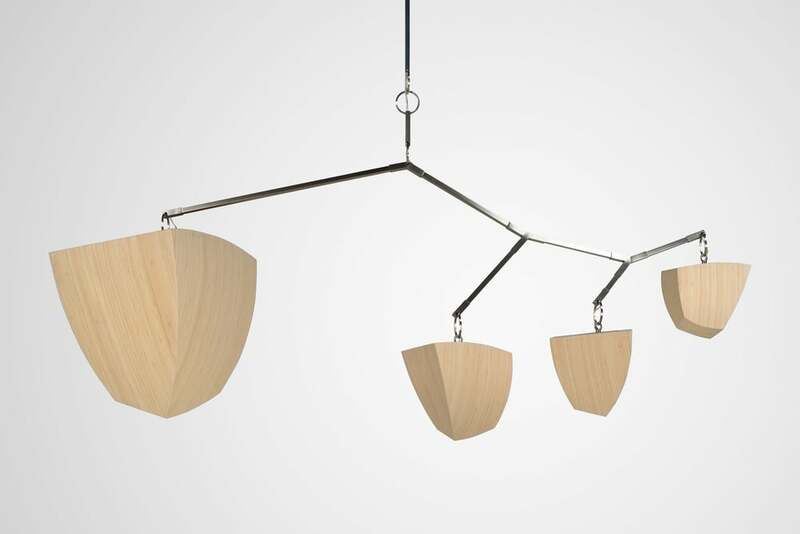 The descending order of the shapes was inspired by Alexander Calder. 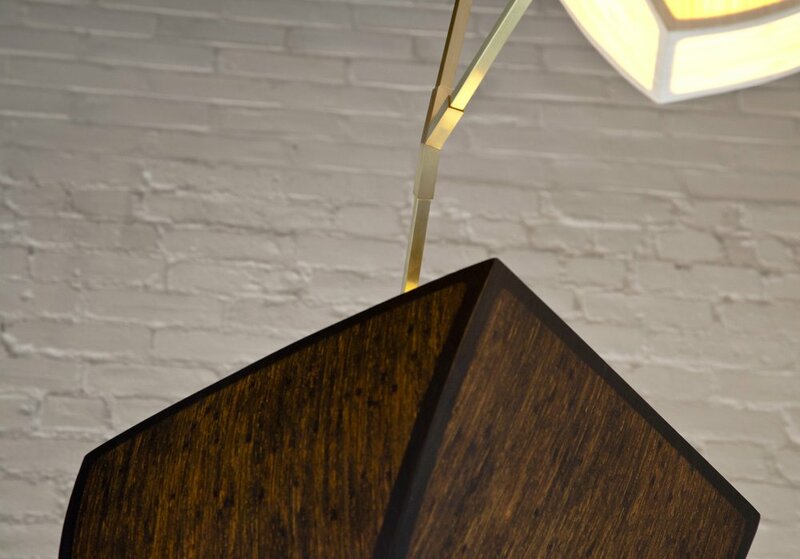 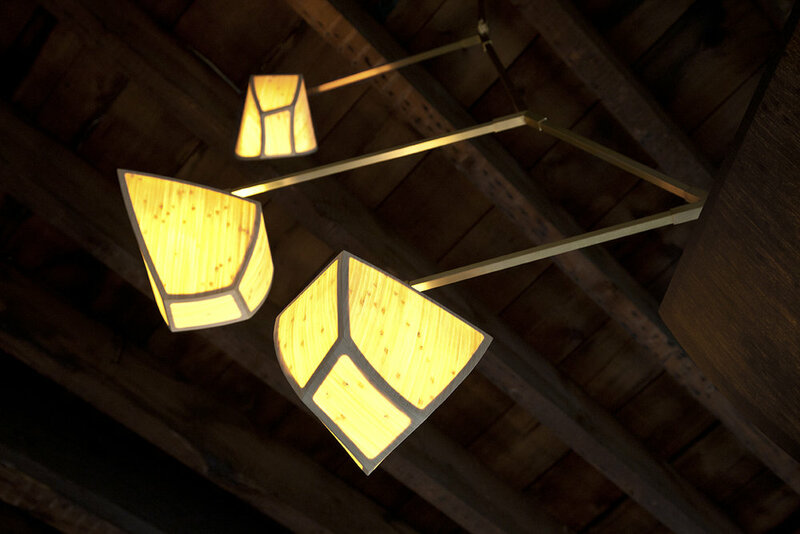 Our polyhedron shape began as an abstract painting and developed through model form, into a 3d engineered laser cut framework that is hand crafted with Andrea's proprietary method of construction and finishing. 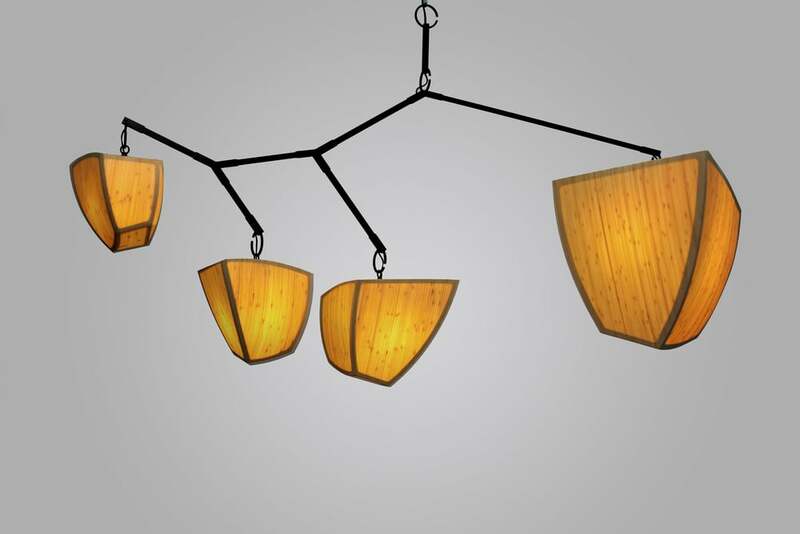 Constantin was designed as a focal point and ambience creator, it's great in an atrium, dining room, or living room.